What are the best techniques to reverse Parkinson’s? Are probiotics and prebiotics helpful? What about juicing to remove heavy metals like lead? How about taking mucuna for tremors? Is there anything that will stop my tremors? Where does one start when deciding to travel down the road to recovery? What about taking lots of supplements to address the symptoms? I am doing all of the therapies that people say will calm tremors but they continue to increase. Can you recommend a tremor treatment that will help? Is ketogenic diet useful to address Parkinson’s symptoms or are there other diets that are better? I am confused. There are so many opinions out there! Naturopath Doctor John Coleman ND from Australia discusses the connection between heavy metals and Parkinson’s disease symptoms. While heavy metals can be a factor, John emphasizes the initiating connection of symptoms to trauma (whether physical, emotional or mental). The Parkinsons Recovery Jump Start to Recovery course introduces ways of identifying the causes of Parkinson;s symptoms and therapies that offer ways to release trauma and stress that continually “feed” the symptoms. I have noticed that when I drink more water I begin to feel really lousy. I get more headaches, have low energy and feel like I have the flu. Parkinson’s symptoms are problematic as it is – and now this. I suspect you may be experiencing a huge detox effect from becoming better hydrated. The symptoms you list are all the symptoms that are typical of detoxes. This suggests toxins may be the pest causing the neurological problems you currently experience. You might consider getting an assessment of toxins of some sort or another – perhaps bioenergetic testing or voice analysis or hair analysis. You may have already had some assessments done – but they might not have picked up the true culprit which can show in the form of heavy metals of one type of another or pesticides. I aired a radio show with Dr. Joe Hickey, MD, several months ago who offered some fascinating perspectives on diagnostic assessments for heavy metals and detox protocols that succeed for people with Parkinson’s. If the diagnostic assessments show toxins – then a strategy would be to set in motion a detox program to release toxins gradually and safely. 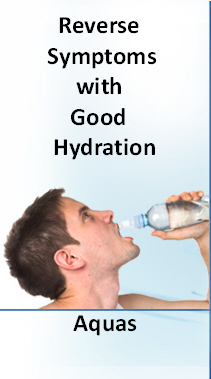 The hydration is obviously a key but some toxins need a little extra nudge to leave your body. They do not exit willingly unless gently encouraged. If the nudge is too aggressive you can pay dearly for the consequences. You certainly want to be rid of the toxins, but not at the expense of feeling lousy for months on end. I have received a number of reports from people who report a worsening of symptoms when their detox programs are begun. This may be due to an inadvisable protocol or to a detox program that is too aggressive. It is best to proceed with detox programs slowly. Do not expect immediate relief. Working with a health care practitioner who is an expert on safe and gentle detoxes also can be very helpful. People often assume that because they are feeling worse, the detox program is making the situation worse. They thus decide to abandon the detox program. Instead of giving up, I suggest that you recognize that toxins are an issue. Search for another detox protocol that offers a more gentle release. I heard the interview with Dr. Hickey. Very impressive. Some of the health care practitioners I have worked with specifically to rid my system of heavy metals all shy away from intravenous chelation. I have used various highly touted products. The process is very slow and I am not sure that they are strong enough to pull the metals out of the deep tissue including the bones. In your opinion from all of your interviews and readings is intravenous chelation the most effective, the quickest way to get rid of metals in all body tissues including the central nervous system? My patience is at a low point. I have the same problem with impatience Kevin. Can’t this release of heavy metals happen now? Unfortunately, the true answer is that it is likely to take time and patience. Chelation simply means to claw out the heavy metals from the tissues and bones of your body. You put in your body something that has a positive charge. This attaches to the heavy metal which has a negative charge. The heavy metal toxin is eliminated through your liver, kidneys and bowels. I have heard from a number of people on their experience with chelation therapy. Some report positive results. Others report that the treatment was horrendous. It triggered a worsening of symptoms. I understand that most doctors (whether MDs or naturopaths) are very cautious in the chelations they prescribe for people who currently experience the symptoms of Parkinsons for this reason. This explains your own doctor’s hesitancy to use IV chelations. I understand it is helpful to assess precisely what heavy metals are at issue in your body. Different chelating agents are needed depending on the metals that are at issue. I would suggest that you work with your doctors to assess which heavy metals in particular are problematic for you. As you now know from listening to my radio show with Dr. Hickey, there are serious issues with the current medical tests used to assess the presence of heavy metals. I personally think the diagnostic tests that are most revealing are bioenergetic testing, hair analysis and voice profiling. I have interviewed experts who discuss the benefits and outcomes of all three diagnostic approaches. Naturopath doctor Ivy Faber from Canton, Georgia has been a guest on my radio show who uses bioenergetic testing. She has done those tests on myself. They are really quite amazing. Compounding Pharmacist Randy Mentzer from Olympia, Washington discussed hair analysis for heavy metal testing during my radio show with him. Sharry Edwards has been a guest on my show several times. She diagnoses heavy metal toxicity using voice profiling. In summary, if this were me, I would step back and go through a series of diagnostics using several assessments that are different than the tests that you have already had done as a reliability check. Once you know what you are dealing with, a chelation approach can be designed that will be effective. It may still take time and patience! 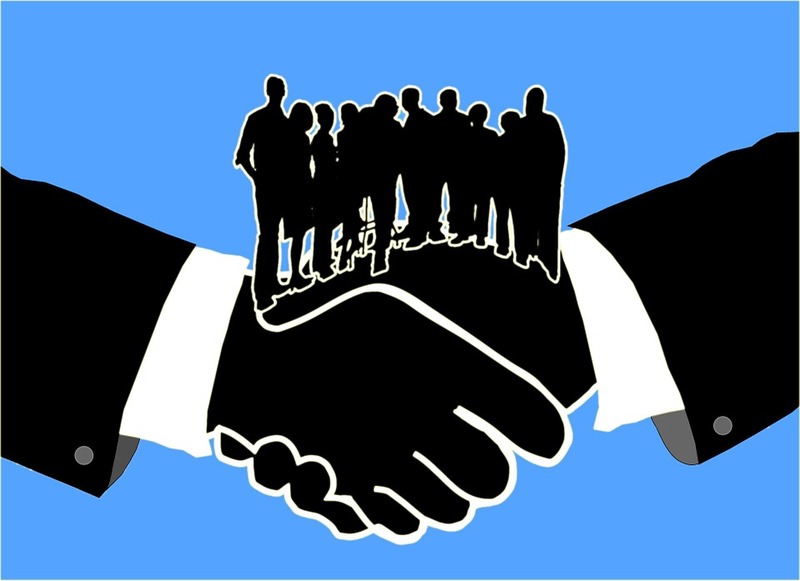 In summary – it is a process which can be slow, tedious and frustrating. In my personal opinion, everyone in a body should be chelating the toxins using one approach or another. Hang in there. There are many approaches to detox. Some actually makes things worse. 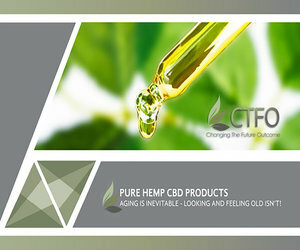 When you land on the chelation approach that works for your body, I predict you will be very pleased with the outcome. I have had Parkinson’s since 2008. I am now taking amantrel-100 2 tab and pramipex-0.5 2 tab daily. I still have a balance problem, a walking problem. Turning is also a problem – especially to the left, dryness in mouth, problem of pronunciation of some words while talking. excessive sweating at the left side of forehead is remarkable since 2005. I also feel pain at neck below head backside of ears. You have a series of symptoms which is typical of people who are diagnosed with Parkinson’s Disease. It is likely that the cause is multi-faceted. Second, check the side effects of the drugs you are taking. It is likely some of the problems you are experiencing may be simply the side effects of the drugs. You may want to talk with your doctor about adjusting your medications. Third, I suggest that you focus your attention on finding doctors and health care practitioners who can help you detox the toxins in your body, I am guessing that toxins are a primary cause of your symptoms. You may well have an abundance of heavy metals and pesticides that have accumulated in your body.Once they are removed your symptoms may well subside. zeolite personally with great success – but there are many other excellent methods that are effective as well. Know always that the body knows how to heal itself. We just have to give it a little extra loving kindness and attention sometimes. Joan has given me permission to post this most remarkable story about her recent recovery. It has been a while since we communicated but with reasons. Shortly after you were here in Lexington, I went somewhere into a tremendous panic situation finally diagnosed as “Panic Disorder”. As usual, I wanted NO DRUGS and it took a bit to locate natural products to manage and stop this thing! It was not a kind place to be and it took a grave toll on me. So………I got SERIOUS! I wanted NO MORE OF THIS AND NO MORE PARKINSON’S DISEASE! I searched for and found a Medical Doctor who practiced natural therapies……yes “cures” and “recoveries”! Thank God he is only a short 30-minute drive from me in a lovely small town called Midway, Kentucky. His clinic is Midway Center for Integrative Medicine, 129 Winter Street, www.themidwaycenter.com . He has helped me, Robert! He placed me on a full detox program with nutritional supplements to increase my health that had been so damaged by doctors who only treated my SYMPTOMS and never the CAUSE!! I have seen seven neurologists in seven years of dealing with this horrid “disease” who all ended up with the same position. MRI, Cat Scan, and diagnosis of Parkinson’s Disease. When I finally asked the last one at the University of Kentucky Neurological Institute to do a toxicology test, she refused saying it would do no good because I have the disease. THIS IS SAD!! So many people……..such a dastardly disease……….and with doctors who won’t even TRY to step outside their boxes of comfort and paychecks!! On March 23 I went to Dr. Roach the first time. He did blood work and diagnosed the CAUSE of my nervous system that was a mess from being attacked by poisons. He started me on certain few supplements ahead of getting the results back from the Lab and I began to FEEL BETTER inside a week! Just FEELING BETTER increased my HOPE and my TRUST in a Doctor was finally beginning to grow. See the comparisons listed here in less than two months recovery!!! • tremors down to ZERO! I told him about you, Robert. He would very much like to communicate with you! I hope you can as THIS IS THE KIND OF DOCTOR NEEDED IN THIS PROFESSION WHERE NO SCIENCE-BACKED M.D. HAS A DESIRE TO TREAT THE CAUSE AND NOT JUST SYMPTOMS OF ALL DISEASES! Robert, he says 6 months to two years should see me recovered! I WILL TAKE THIS DIAGNOSIS ANY DAY!! The link of an article below is about a man who had heavy metal poisoning and was able to heal completely after heavy metal chelation. I believe that most if not all people with PD or most diseases are caused from toxicity of some kind, and if they can chelate or detox their body, it will allow the body to function as it was designed to do and heal. I am on my 3rd day of heavy metal chelation, so I will keep you posted on my progress. I just thought you might have an interest in this article to give people with a PD Diagnosis more hope. In the year 2001 I was tested for Heavy Metal Toxicity in a private clinic in Aarhus, Denmark by Dr. Bruce Kyle (http://www.holistic-medicine.dk) and I was diagnosed with a combined toxic overload with mercury and copper. Today I can honestly say that testing and treatments for my chronic cumulative toxicity has been successful for revealing some of the causes of my Parkinson’s disease. However, I still have slightly high levels of copper left and in Autumn 2006 and Spring 2008 tests show that I am also burdened with lead and aluminum. My toxicity burden with lead might perhaps come from common environmental pollution. My toxicity with aluminum probably came from years of injections with aluminum containing products against dust mite allergy. My nutrition today contains more antioxidants (nutrients which protects the body against free radicals and oxidation), more vegetables (raw vegetables are chosen) and more fruits. I have stopped eating unhealthy fats such as margarine, hard fats, corn oil, soy, sunflower etc. I try to eat more of the healthy fats such as fat fish (salmon), linseed, olives oil, nuts etc. I also use visualization when training my movements. People, who do not realize the effects that Parkinson’s disease has on their own body, often have problems understanding how demanding it is for a Parkinson patient to cope with conscious movements. Even something as banal as cleaning your shoes on a doormat is not necessarily functioning automatically but needs mental work, like steering a toy car with a joystick. When being diagnosed with a chronic disease the patient often goes through a life crisis and so did I. The crises made me more religious and I learned to pray to my God from the bottom of my heart – this has given me spiritual power to cope with life and the new circumstances. Many people have concerns over the possibility metal crowns might be a factor that is contributing to their symptoms. To explore this possibility, I interviewed Simon King, a chiropractor from a town just north of London, England. During my interview with Simon (which is posted on this blog April 1st, 2009 – which is no joke) I discovered that one of my metal crowns appeared to be interrupting the signals that are continuously being exchanged between my brain and my muscles. Simon explained that this problem would lead to serious health challenges for me down the line. I decided to replace the metal crown. My dentist completed replacement of my problematic metal crown with a non-metal crown. The new crown is called a lava crown which is a type of hand pressed glass material. It is very durable and non toxic. It has now been four weeks since the replacement. Before I had problems swallowing pills. That challenge has eased considerably. I have no more sore throats or sore gums. I have more energy. I hear more clearly. It doesn’t hurt now to chew food. All in all I would say it was a good decision to replace the metal crown. If you are motivated to exlore this option further, you can check out a listing of 147 holistic dentists (primarily in the US) who are have special training in the replacement of metal fillings or crowns with non-metalic material. This particular group of dentists call themselves holistic dentists. They are concerned about the potential health problems that metal crowns might be causing for people. Do we know for sure whether metal in your mouth can cause the symptoms of parkinson’s. There is no definitive research on the matter. Speaking intuitively, my body feels stronger, lighter and healthier now that the metal has been removed from my mouth. If you have any personal experience with getting metal removed from your teeth, please comment! Some people with the symptoms of Parkinsons tell me that they experience little difference after getting the metal removed. Other people tell me they notice a huge improvement. If there is an ounce of a chance it might help, the issue surely merits further investigation. If you have had any personal experience with metal crowns or fillings, please comment! Are amalgam filings, crowns, jewelry or carpets causing your symptoms? There is a quick and easy way to tell. Tune in to my weekly teleseminar to find out how. Move the slider at the bottom to the right to view the right side of the panel. 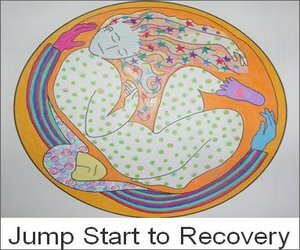 The following is an amazing story of recovery by Hanne Koplev. 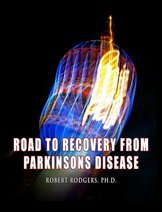 This is a “must” read by anyone who has any doubts that recovery from the symptoms of Parkinson’s is possible. 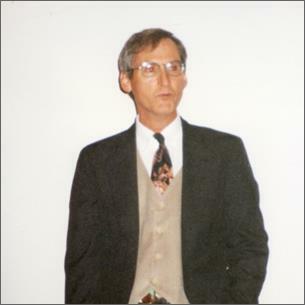 In the year 2001 I was tested for Heavy Metal Toxicity in a private clinic in Aarhus, Denmark by Dr. Bruce Kyle (www.holistic-medicine.dk) and I was diagnosed with a combined toxic overload with mercury and copper. My toxicity burden with lead might perhaps come from common environmental pollution. My toxicity with aluminium probably came from years of injections with aluminium containing products against dust mite allergy.